2019 Update: We still stand by this advice for where to find the best maternity suits for professional women, and have updated the links! Have you found maternity suits to be essential at your office, conservative or otherwise? Not really necessary, no matter what your company’s dress code? Hard to find, either way — and when you do, not exactly … stylish? 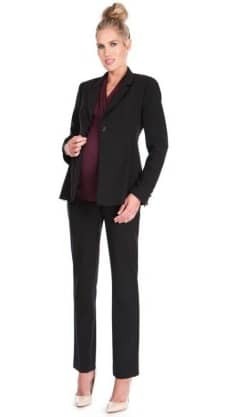 Did you wear maternity suits, or did you avoid them entirely by layering a blazer over a maternity dress (or otherwise wearing separates), or getting a regular-sized suit that was too large and then having it tailored? 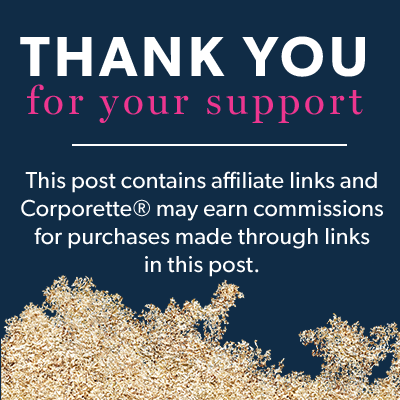 Unfortunately, when we’ve previously talked about maternity suits, both here and at Corporette, there just hasn’t been much to recommend (especially regarding plus-size maternity suits, not surprisingly). Still, it’s time for an update to share what’s out there if you’re hunting for maternity suits for professional women! For some reason, this time around, the maternity-suits situation seems worse than usual. Sadly, the British brand Eva Alexander is no more (Nordstrom does have one jacket, but without coordinating pants); brand Maternal America seems to have zero suiting options at the moment, and its site says, “We are Under Construction,” which doesn’t bode well; all of A Pea in the Pod’s options currently only have very limited sizes in stock (both at their own site and at Macy’s), and so on. It doesn’t help that some brands that offer maternity workwear in addition to their regular offerings — like Loft and ASOS — just don’t make maternity suits. (If this is your second or third pregnancy and you’re yet again searching for maternity suits, have you found it tougher to find a good one this time around?) By the way, if you’re looking for something from a brand that’s gone out of business or is just hard to find (for example, Theory maternity suits, which we and readers have mentioned in the past), try sites like Poshmark, ThredUp, and eBay. Readers, do tell: Where have you found maternity suits you’ve liked? What do you think are the best maternity suits for professional women? Have you decided to buy a few relatively inexpensive maternity suits or buy a single higher-end maternity suit? At what point in your pregnancy did you have to stop wearing your regular suits to the office? Or, if you’re not on Team Maternity Suit, what are your favorite alternatives? This gray pinstriped pantsuit, which is part of A Pea in the Pod‘s bi-stretch suiting line, is available both at the brand’s own site and at Macy’s, but sizes are selling quickly — especially because both stores are offering almost 50% off right now. I’m normally just fine with a pinstripe for suits, but I have to say that somehow this particular pattern makes it clear that this suit isn’t a high-end one. (Part of it could be that the fabric is a polyester/rayon/spandex blend and doesn’t exactly look luxurious when you zoom in?) Still, if you really need to buy a maternity suit and don’t want to spend a lot of money (especially if you’re planning to be “one and done”), this could be a great option at $130 total (marked down from $256). All right, ladies, let’s hear from you — what did you do for suits when you were pregnant and had an interview, had to appear in court, or had otherwise big career days? What were your favorite maternity suits for professional women? My friend and her children are visiting this weekend. Are there any fun games for an almost 1st grader and almost 5 year old? Would also be interested in a fun pool toy or two. Zingo is a huge hit in my house. Also Hoot Hoot Owl and Chutes and Ladders. And dominos is the one my 5 year old picks the most – she loves Chicken Foot. I bought a summer weight suit for my 1st pregnancy because I was going to be in court a lot while pregnant; I tried a few Jessica Simpson suits and the quality was laughable, so I bought a maternal America suit from Amazon. I didn’t bother with my 2nd pregnancy; I just wore the same suit or dress with an open blazer over and over, even to court. I’ve gone to job interviews and appeared at hearings while pregnant, and I’ve never worn a maternity suit – just a regular blazer over a maternity skirt and blouse. It’s never been an issue for me, but I’m in the public sector, so maybe it’s different at firms? i spent $700 on a theory suit at pea in the pod for my first pregnancy (not available online, occasionally available in the stores) and it was a great investment. for me. i work at a firm, had a two month trial during my third trimester first time around, and lots of depos and some court time second time around. the blazer is reusable, and the pants are not but they were amaaaazing. we are not planning on any more kids and i’m giving away my maternity wardrobe but i am not getting rid of those pants until i go through menopause, just in case. i could always count on looking put together no matter how terrible i felt. i wore it mainly with a few different shirts from rosie pope. i also bought a suit from figure8maternity and it was terrible (not a big surprise for a suit that comes in sizes s, m, l). i also got a lot of wear from isabella olivier and the like dresses with a blazer. also yoga pants working from home. The jacket open all the time. I loved the trousers so much I bought two more pair to be my everyday work pants, during the second half of my pregnancy. I also wore all my other suit jackets open with maternity dresses. I have had a jury trial in federal court and many depositions during my second pregnancy. I did not need a maternity suit. I put blazers or jardigans over maternity dresses/pants or just wore my pencil skirt suits at 5 months pregnant with the skirt pulled up over my bump. I found most MM LaFleur pieces to stretch enough up the 7 month mark that I could pull together some very professional looks. And I just went into court yesterday for a hearing with 2 weeks to due date in a jardigan and one of the maternity friendly dresses from MM LaFleur and felt totally professional and fine. I have been hunting for maternity suits in the size 14 world with no luck. It is so frustrating! I have been forced to go the maternity dress and regular blazer route but I hate it. Most of my suit jackets don’t even fit me well right now. It shouldn’t be this hard to find a good quality maternity suit! GET YOUR EX LOVER BACK WITH THE HELP OF A POWERFUL SPELL CASTER!Contact: Unityspelltemple@gmail.com his result is 100% guarantee.